I can’t believe it is nearly nine years since I travelled to Kenya with Dr. Cheryl Mvula, to write about the extraordinary work that she had been doing with Maasai communities in Kenya’s Masai Mara. I had only started writing really, following completion of my MSc in Responsible Tourism Management. But the people I met and places I visited on that trip of a lifetime were not only the greatest reward for my studies but also the greatest reminder that giving voice to people who deserve it was what I wanted to do most in the world. In that article I wrote mostly about the Maasai people themselves who had worked so hard to combat some of the most unethical aspects of tourism in their homelands. Today I want to write about Cheryl who helped facilitate that change for the Maasai people, something that she does with both skill and sensitivity. Cheryl is a responsible tourism consultant with Tribal Voice Communications, a wildlife conservationist, anthropologist and all round feisty woman who doesn’t take no for an answer when it comes to good practice in tourism. And she has also been awarded an MBE in the 2017 Queen’s New Year Honours list, for these services to responsible tourism, community development and conservation in Africa. 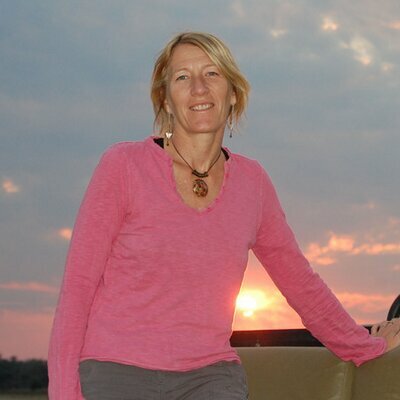 Over the years, she has worked in partnership with a number of impressive NGO’s such as the Born Free Foundation, Travel Foundation, Federation of Tour Operators (FTO), the Kenya Association of Tour Operators, Mara Conservancy and the Zambia Wildlife Authority. I am also a huge fan of (but pathetically tiny donor to) her charity, High Five Club through which Cheryl tirelessly offers her time to impoverished African rural communities living in wildlife areas, through a hand up rather than handouts approach. Do check it out if you want a transparent and transforming charity to support for just a fiver a month that helps reduce poverty in African countries in a sustainable way. 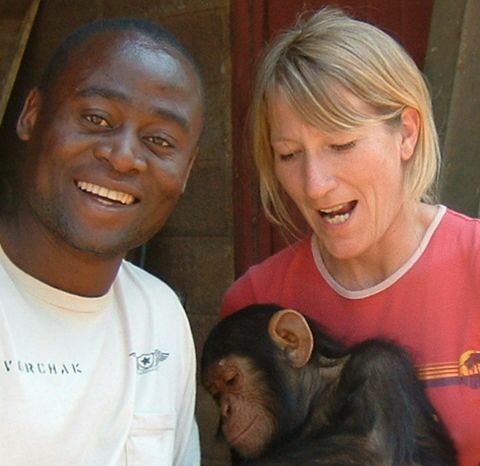 I also want to give a mention Manny Mvula, Cheryl’s husband who is Zambian, works alongside Cheryl on many projects, is one Africa’s top safari guides, a wildlife conservationist in his own right and a field trip leader. He regularly makes trips back to Zambia to work on wildlife conservation and community development projects in the Luangwa Valley, the area in which he was born and raised. It was he who proudly contacted me to share the news about Cheryl’s honour. And proud he should be. One person who would also be rightly proud is Ben Rramet, one of the Maasai villagers who worked closely with Cheryl in turning their tourism experience from a frustrating into a fulfilling one. I met Ben on my trip there, and was honoured to host him in my home a year later when he came to England for the first time to talk about his work to other tourism operators at a conference. My children were both in awe of him and inspired by him. He came and spoke at their school, and indeed he taught us all so much and left us with so many fond memories. Sadly, he died a young man, just a few years ago, and I am certain that Cheryl will be dedicating this honour to his memory. Because that is the sort of woman she is and pretty much sums up the wonderful way in which she works. This entry was posted in Articles and tagged Born Free Foundation, Ecotourism Kenya, good sustainable tourism charities, good wildlife guides, High Five Club, mara Conservancy, responsible tourism Africa, Sustainable tourism in Africa, The Travel Foundation, Tribal Voice Communications, volunteering holidays, Zambia wildlife. Bookmark the permalink.